Dwight D. Eisenhower’s statue was the first to replace another state statue in the National Statuary Hall Collection. Replacements were first allowed in 2000, and Eisenhower’s statue was given to the collection by Kansas in 2003, replacing a statue of former Kansas governor G.W. Glick. 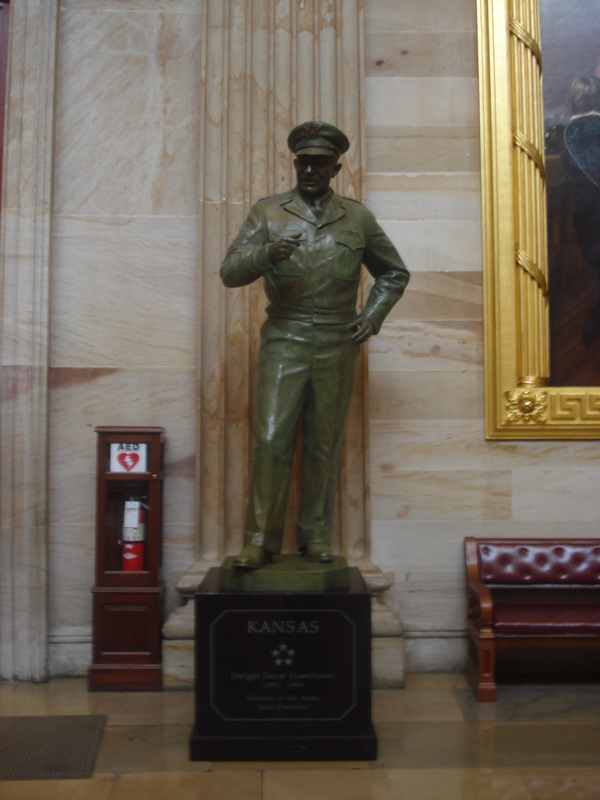 Eisenhower’s statue stands in the Rotunda today. President Eisenhower has been honored on a few postage stamps, including this one.